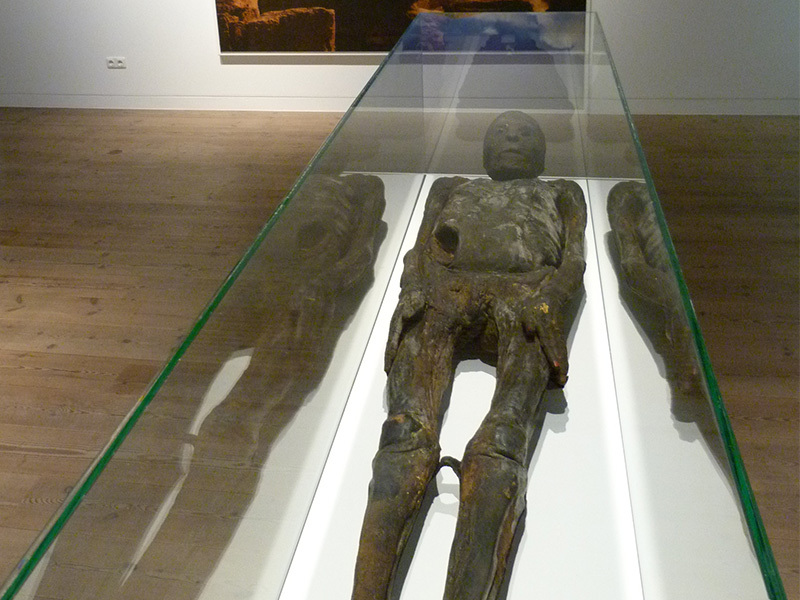 The special exhibition "Mummies — The Dream of Eternal Life" included more than 100 exhibits. 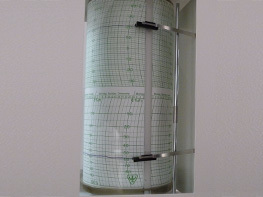 Due to the high-quality air conditioning and air humidification systems, the specified temperatures and humidities — in this case 21°C and 58% relative humidity — are precisely maintained in the exhibition rooms. 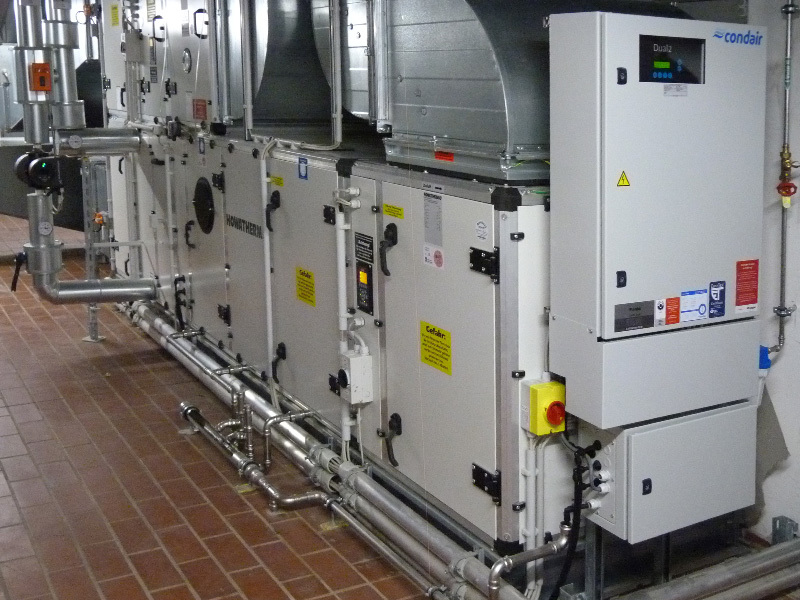 A central osmosis system with a maximum capacity of 1,000 L/h supplies all humidification systems in the HVAC units at the Museum in Hamm. In 2017, a total of 4,000 m³ of water was treated in the system. 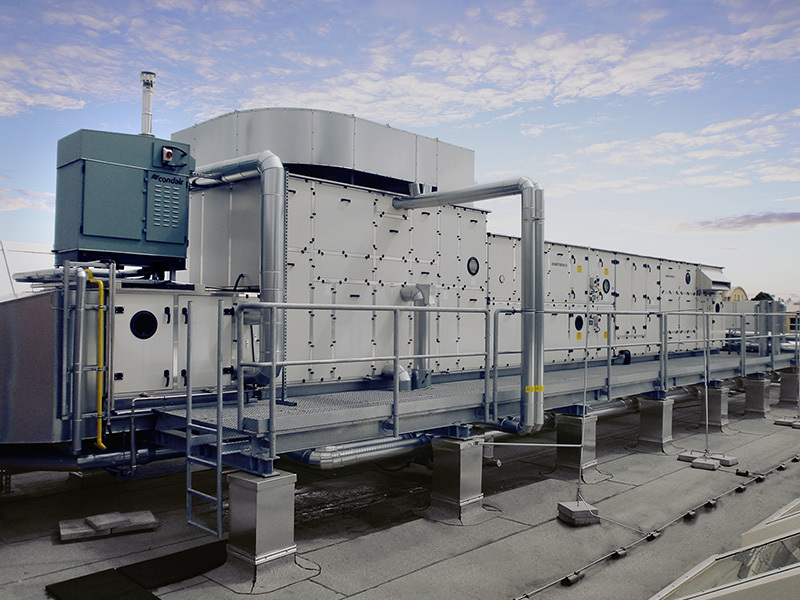 Two central air conditioning units with air outputs of 7,500 m³/h each were installed on the roof of the museum. On the top left is one of the two gas-powered Condair steam humidifiers. The supply air in seven HVAC units in the basement is moistened with Condair hybrid humidifiers. The outside air previously pre-tempered and humidified in the HVAC units is mixed with room air in the ceiling induction units, cooled in a water heat exchanger and then enters the exhibition rooms as supply air. In the course of an extensive modernization, the Gustav-Lübcke-Museum in Hamm received a total of eleven HVAC and central air conditioning units with a total air flow of 90,000 m³/h. 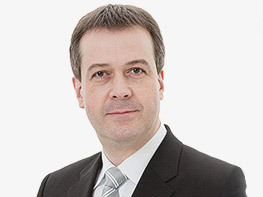 “The new air conditioning systems using constant air and humidity settings in the exhibition rooms are the prerequisite for us to remain competitive in the future and bring attractive exhibitions and valuable loan collections to Hamm”. This statement by the management of the Gustav Lübcke Museum in Hamm underscores the enormous importance of modern and energy-efficient air conditioning technology for the operation of museums. Condair's new air conditioning systems with multi-humidification solutions were installed during a major modernization of the museum. The Gustav Lübcke Museum in Hamm, in the German state of Westphalia, opened in 1993. The namesake is the Düsseldorf art dealer Gustav Lübcke, who in 1917 handed over his art collection to his hometown Hamm and thus became the founding father of the museum. Today, the museum covers an area of around 4,000 m² for permanent and temporary exhibitions. These include Egyptian art, a collection of Greek and Roman antiquities, exhibits of urban and regional history, applied art, 20th century painting, a collection of 30,000 coins from all eras and a museum only for children and younger people. One of the highlights is the special exhibition "Mummies — The Dream of Eternal Life", which runs from December 2017 to June 2018, with more than 100 objects (humans and animals). Every year, about 40,000 visitors come to see the museum’s exhibitions.. The air conditioning of museums and showrooms is a challenging task. The focus is primarily on the protection of valuable cultural assets and exhibits in order to prevent external adverse effects and possible damage to the artwork. However, the right temperature and humidity also benefits the comfort and cosiness of staff and visitors. Therefore — depending on the nature of the works of art — museum operators insist a limited indoor environment at their exhibitions, which can be maintained year round with only slight fluctuations over time. Typical temperatures in museums range from about 20°C (heating season) to 24°C (cooling period) with relative humidities of around 50 to 60%, regardless of the current outside air conditions (hot, cold, humid, dry) and the current number of visitors. 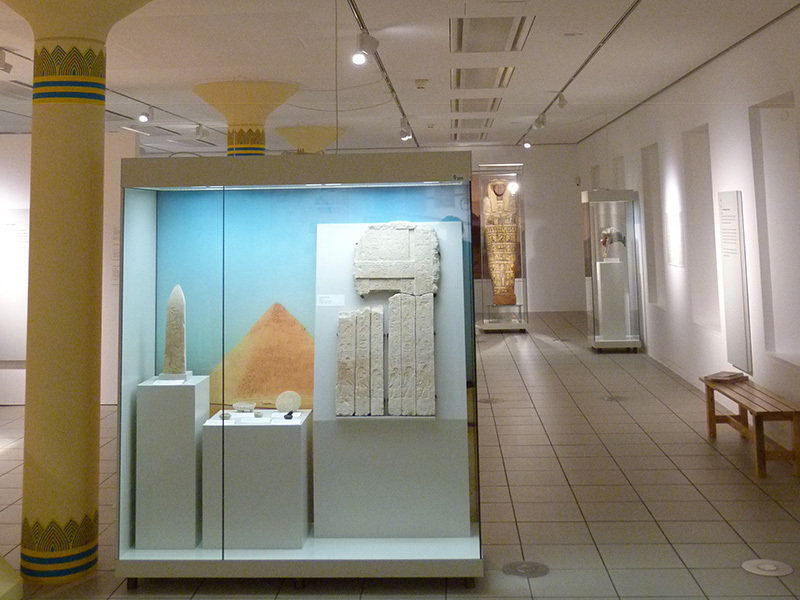 A museum’s air-conditioning system must respond quickly to these influences and loads and be able to ensure the required ambient conditions. This is done in the central air conditioning unit by increasing or reducing the flow of the intake air volume and adapt this flow to the current requirements. High-quality filtering of the outside air and the precise conditioning (heating, cooling, humidifying and dehumidifying) must also be considered. The ambient air conditions in the museum can be particularly critical in the winter months. When the cold and dry outside air in the air conditioner is heated from a temperature of, for example, 0°C to a desired intake air temperature of 24°C, it only has a relative humidity of about 12%. Such dry air would cause irreparable damage to the exhibits and cause dry mucous membranes in the nose and throat of the visitors and dry eyes. Therefore, it is imperative, especially in cool seasons, to humidify the dry outdoor air of the air conditioning inside the museums to at least 50 to 55%. 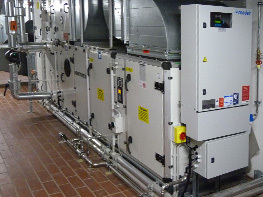 For the safe, energy-efficient and hygienic air humidification in the ventilation units, the specialist planner and the museum managers chose several systems from Condair GmbH, Garching. By optimizing the selected technologies, the operating costs of the air conditioning system were reduced significantly. Seven adiabatic-type hybrid air humidifiers of the Condair DL series with a total output of more than 700 kg per hour and two gas-heated GS-OC steam humidifiers with a total humidification capacity of 160 kg per hour were used. Indispensable component for the hygiene and operational safety of the humidification is a corresponding pre-treatment of the humidifier water. A central water treatment unit as a reverse osmosis unit Condair AT2 (efficiency version EFF1 with dual softening upstream) generates up to 1,000 liters of treated humidifying water per hour for all humidification systems. A specially developed and patented membrane rinsing technology in conjunction with a frequency-controlled pump guarantees significant water and energy savings compared to standard osmosis systems. The system is specially designed for the Condair humidification systems and, in conjunction with them, enables an optimum and energy-efficient humidification operation. During the modernization of the museum, eleven central ventilation and air conditioning units with an air output of around 90,000 m³/h were installed. Two full-size air conditioning units (heating, cooling, humidification and dehumidification, heat recovery), installed on the roof, supply the area of the temporary exhibition and the skylight hall with conditioned supply air with an air output of 7,500 m³/h each. Here, the humidity is adjusted by the gas-heated steam humidifier with a steam output of up to 80 kg/h. The steam is distributed evenly in the air conditioning unit via the OptiSorp compact multiple distribution system, which means that the effective humidification distance can be reduced by about 70%, in contrast to normal steam distributors. 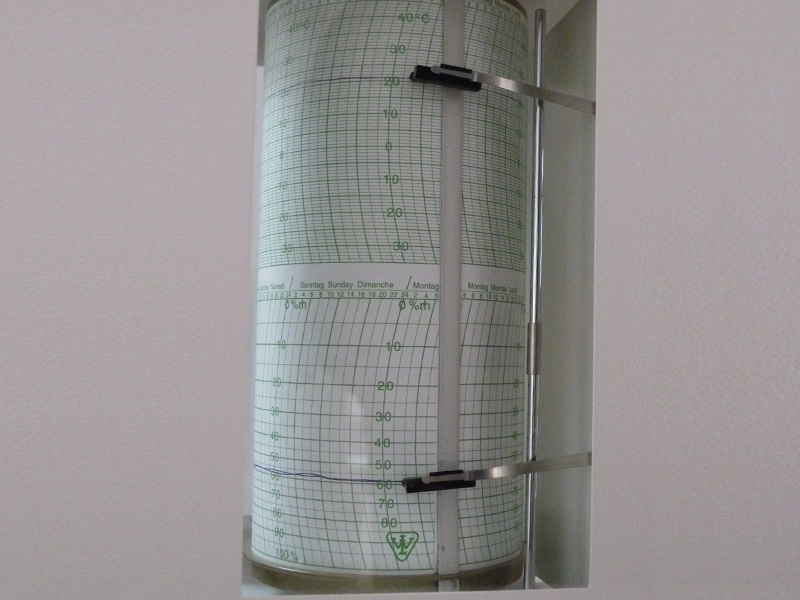 In the winter time, this allows dry outside air to be humidified from about 2 g/kg to just under 11 g/kg. The pure water required for the humidification is processed in the central reverse osmosis system. 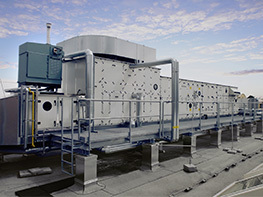 The cooling and dehumidification of the outdoor air, which is warm in the summer time, takes place in the HVAC units in heat exchangers, which receive the cold water from a newly installed water chiller. Another nine HVAC units with air outputs between 800 and 22,000 m³/h are located in the basement of the museum. Seven of these systems have heating and humidifying thermodynamic functions and provide the other exhibition areas and collections as well as the forum and the foyer. For the air humidification, the devices use the hybrid systems from Condair. A special feature of these HVAC units is their ventilation circuit. The exhaust air from all devices is collected in a common air duct and flows through the exhaust air heat exchanger of a highly efficient circuit connected system (KVS), before being extracted into the exhaust air. This exhaust air heat exchanger is coupled via a heat transfer fluid with a heat exchanger on the supply air side, which preheats the entire outside air volume flow with the exhaust heat in the winter time or pre-cools the air volume flow in the summer time. Only after this central pre-tempering, the outside air is distributed to the individual HVAC units. As a further efficiency measure, a system of indirect evaporative cooling is operated on the exhaust air side in the summer time. The exhaust air is humidified approximately to the maximum possible level (> 90% RH) and thereby cools by about 5 to 8 K. As a result, the KVS heat recovery now provides a significantly greater cooling potential for cooling the outside air. The evaporative cooling is also supplied with osmosis water from the central water treatment. The post-conditioning of the intake air from the HVAC units takes place room by room in water-cooled ceiling induction devices. In this case, the supply air (outside air, primary air) induces about three to four parts of room air (secondary air), which is cooled when flowing into the unit in a water heat exchanger. The cold water required for the operation of the roof air conditioning units and the induction units comes from two chillers with a cooling capacity of 105 kW each. In order to heat the museum’s rooms a floor heating system is operated. The heating comes from a district heating connection. 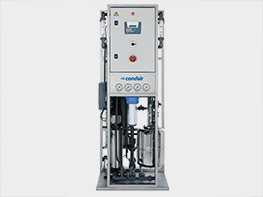 Condair DL hybrid humidifiers consist of an atomization unit with individually adjustable molecular atomization nozzles arranged on a support grid, followed by a patented ceramic-plate evaporation unit. To ensure hygienic operation, the previously treated osmosis water is then treated again with silver ions in the patented HygienePlus system. Part of the sprayed water from the atomizer at low pressure evaporates directly in the air stream, the rest falls onto the ceramic plates and evaporates there almost completely. Thanks to the size of the water droplets matched to the post-evaporator unit, they can be completely separated, thus ensuring the aerosol-freeness of the humidified air required by VDI 6022. This hybrid process ensures the highest possible utilization of the sprayed water, and a hygienically clean supply air is achieved. 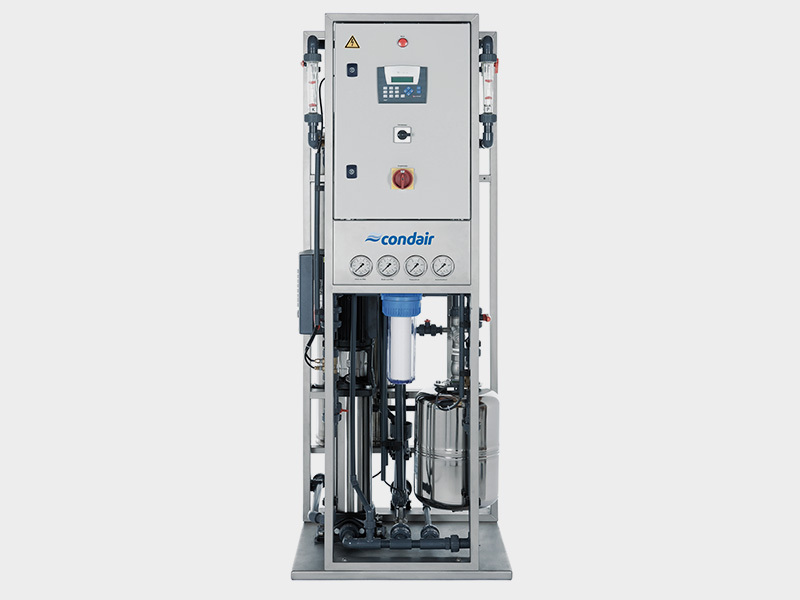 Other features of the Condair DL system are a short installation length of just 600 to 900 mm; small pressure losses of approx. 40 to 60 Pa; an individualized control of each spray circuit; automatic, continuous control of humidification output based on current needs; and integration with a comprehensive control and automation system. The Condair DL series has been awarded the DGUV Test Certificate by the trade association for its optimum hygiene and equipment safety features. Both gas-operated humidifiers of the “GS 80 OC” series are designed for direct outdoor installation and generate a maximum of 80 kg steam per hour (infinitely variable from 10 kg/h). The combustion system is based on a modulating fully premixed gas blower burner with 360° full circle technology and a continuously operating gas pressure control valve. When compared to electrically operated steam humidifiers, operating with the cheaper natural gas natural gas, significant cost savings (more than 60%) can be achieved.